Did someone you love suffer elder abuse or neglect at Daniel’s House Nursing Home? Our lawyers can help. 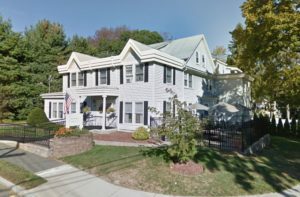 Daniel’s House Nursing Home is a for profit, 33-bed Medicare/Medicaid certified skilled nursing facility that provides services to the residents of Wakefield, North Reading, Lynnfield, Wilmington, Stoneham, Woburn, Burlington, Melrose, Winchester, and the other towns in and surrounding Middlesex County, Massachusetts. 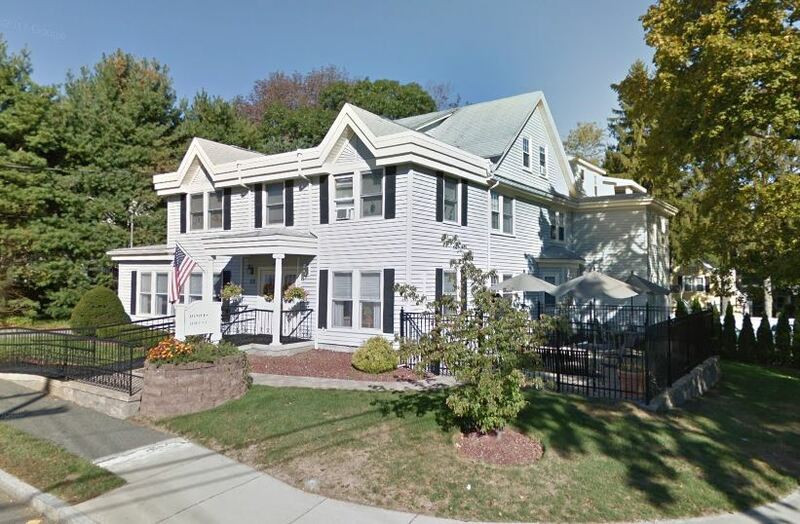 As of March 2018, Daniel’s House Nursing Home in Reading, Massachusetts received a rating of 5 out of 5 stars. Failed to Hire only people with no legal history of abusing, neglecting or mistreating residents, or report and investigate any acts or reports of abuse, neglect or mistreatment of residents. Based on documentation review and staff interview during the Abuse Protocol Review, the facility failed to conduct a timely and complete screening for 1 of 4 newly hired employees (A) prior to the date of hire. CNA (A) was hired on 11/22/16. During review of the facility’s pre-screening documentation on 12/13/16 which was conducted for CNA (A), the facility was not able to provide evidence that the Nurse Aide Registry Check was obtained. The Nurse Aide Registry check was requested from the Director of Nurses and Assistant Administrator on 12/13/16 and 12/14/16 and has not been provided. **NOTE- TERMS IN BRACKETS HAVE BEEN EDITED TO PROTECT CONFIDENTIALITY** Based on observation, record review and staff interview the facility failed to have a physician order [REDACTED]. Resident #1 was admitted to the facility during 7/2016 with [DIAGNOSES REDACTED]. Review of the most recent comprehensive Minimum Data Set (MDS) indicated that Resident #1’s cognitive status was severely impaired and was totally dependent on staff for for bathing and dressing. Review of the medical record on 12/12/16 at 10:30 A.M., indicated a Physician’s interim/telephone order dated 10/20/16 to apply TEDS stockings to bilateral lower extremities (BLE) daily times 1 week, remove daily at bedtime times 1 week. Resident #1 was observed on 12/12/16 at 11:35 A.M., wearing beige stockings while sitting his/her wheelchair in the activity room. During interview with CNA #1 on 12/12/16 at 12:05 A.M., she was asked about Resident #1’s needs and the stockings, she said the nursing staff told her to use the TED stockings, she said she had been using them for about one month or so. During interview with the charge nurse on 12/14/16 at 10:45 A.M., she said an order to continue with the TEDS stockings after the 1 week order should have been received. She further said the use of the TEDS stockings should be on the treatment administration record and that the CNA was told to continue to use the TEDS. On 12/12/16 at 4:22 P.M., review of a progress note dated 11/22/16 written by the Nurse Practitioner indicated that TEDS were in place. Despite the Nurse Practitioner writing in a progress note dated 11/22/16 that TEDS were in place the facility failed to have an medical order for the treatment with TEDS stockings from 10/28/16 through 12/12/16. **NOTE- TERMS IN BRACKETS HAVE BEEN EDITED TO PROTECT CONFIDENTIALITY** Based on observation and interview, and policy review, the facility failed to ensure that the facility medication administration error rate was not five percent or greater. 1 of 2 nurses made errors during 26 opportunities for error. Two medication errors resulted in a medication error rate of 7.69 %. Review of the facility Policy on titled Medication Administration General Guidelines effective 8/1/03 and update 3/3/09 indicates at item G: Medicationa are administered within 60 minutes of scheduled time. The medication pass observation was conducted on 12/12/16 with Nurse #1. Nurse #1 was observed preparing medications for Resident #2. At 9:50 A.M., Nurse #1 administered Tylenol 325 mg (milligrams), two tablets (650 mg total dose) and dorzolamide (for [MEDICAL CONDITION]) 1 drop to both eyes and administered the medications to Resident #2 along with all of the resident ‘ s other morning medications. Review of the Physician ‘ s orders revealed that the Tylenol was ordered to be given three times daily at 8:00 A.M., 1:00 P.M. and 8:00 A.M., and dorzolamide was ordered to be given three times daily at 8:00 A.M., 5:00 P.M., and 8:00 P.M Two medications were administered 1 hour 50 minutes after they were ordered resulting in two errors. During an interview with Nurse #1 on 12/12/16 at 11:00 A.M., she said medications should be administered within one hour of the time they are ordered. She said that the medication pass on the first floor was supposed to be scheduled for 9:00 A.M. and that was why she administered the medications at 9:50 A.M.
During an interview with the Unit Manager on 12/12/16 at 11:00 A.M., she said that the medications should have been administered within one hour of time they are ordered. She said she would notify the physician. Based on observation and staff interview, the facility failed to ensure that medications and biologicals were of current date to provide reliability of strength and accuracy of dosage in 1 of 1 medication refrigerators. a. 1 of 1 opened multi use vials of influenza vaccine was not dated therefore an expiration date could not be determined. During an interview with the Director of Nurses on 12/13/16 at 10:15 A.M., she said that influenza vaccines should be dated upon opening and expire 30 days after opening. She was unable to determine an expiration date and said she would remove the vial from use. Based on observation, staff interview and review of facility policy, the facility failed to maintain infection control guidelines to prevent the transmission of disease and infection during observation of eye drop administration for 1 out of 1 applicable residents (Resident #2) with eye medications out of 6 residents observed during medication pass in a total sample of 10 residents. Review of the facility policy titled Medication Administration General Guidelines effective 8/1/03 and revised 3/3/09 included: Hands are washed before and after administration of ophthalmic (eye) medications. For Resident #2, the facility failed to ensure that proper infection control practices were utilized during administration of eye drop medication to prevent the possible spread of infection. On 12/12/16 at 9:50 A.M., during medication pass observation, Nurse #1 administered oral medications to Resident #2. Without performing hand hygeine Nurse #1 prepared to administer eye drops to Resident #2. Without cleaning or preparing a clean field, gloves and a tissue were placed on a bedside table therefore contaminating the gloves and tissue. Nurse #1 reached into her uniform pocket to remove the eye drop medication further contaminating her hands. Without performing hand hygeine Nurse #1 donned the contaminated gloves and administered medication into Residents left eye. Using the same tissue and gloves Nurse #1 administered eye medication into Residents right eye. During interview on 12/12/16 at 11:00 A.M., Nurse #1 said that she should have washed her hands before administering eye medications. She agreed that the supplies became contaminated when they were placed on the bedside table and that should they should have been placed on a clean field. She further ageed that a separate tissue for each eye should be used to prevent cross contamination. Based on observation and staff interview, the facility failed to ensure that bedrooms measured at least 80 square feet per resident in multiple bed rooms. During interview with the Administrator on 12/12/16 at 8:30 A.M., the Assistant Administrator said that Rooms #102, #104, #105, #106, #210, #212, #213 and #214 have 2 beds in each room and have less than the required square footage for a multiple bed room. Observations on 12/12/16 and 12/13/16 revealed the eight bed rooms had less than the required square footage for a multiple bed room. Four of ten sampled residents (Resident #1, #2, #5 and #9) resided in four of the bed rooms. The facility has requested a waiver of this regulation to continue to house 2 beds in each of these rooms. The number of beds and the arrangement of the rooms do not compromise the health and safety of the residents residing in these rooms.